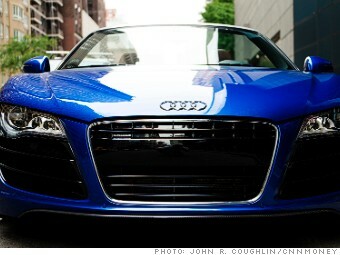 The Audi R8 V10 Spyder boasts a V10 engine and sweet styling. But to enjoy this car to its fullest, take the top down. It was a good summer. Normally I drive pretty standard cars: Chryslers, Hyundais, Chevys. I don't get to drive too many exotics. But this summer I had a Bentley Mulsanne, and just a few weeks later I had this stunning Audi R8 V10 Spyder for the weekend. I was expecting a beast. Exotic sports cars have a reputation for being hard to drive. Being new to this type of power, I was a little nervous. But I was surprised by how approachable and easy to live with the R8 really was.